General Motors was founded in 1897 in Detroit, Michigan, and is one of the largest car makers in the world. The company sells more than 7.5 million vehicles around the world each year primarily through its approximately 19,000 dealerships. GM’s global market share is close to 17%, including an industry-leading position in its most profitable region, the U.S.
General Motors has embarked on a multi-year strategy to redesign and expand its truck and crossover portfolio, which is more profitable and growing faster than passenger cars. On a retail basis, close to 80% of GM sales are now trucks and crossovers. The auto business in general is a very harsh one, thanks to high levels of global competition, cyclical sales, and massive capital intensity. Auto manufacturers face a constant need to design, launch, and update their vehicles to remain competitive and maintain market share. However, U.S. automakers in particular have had a rough go of it in the last few decades due to several unique historical quirks that once had American auto giants such as GM flying high, but later became a massive albatross around their necks. For example, after World War II, the U.S. was the sole industrial power left standing, with Europe, Asia, and Russia having had their manufacturing capacity decimated. U.S. consumer auto production had also been halted during the war effort because GM, Ford (F), and Chrysler (FCAU)’s factories had been converted to produce tanks, planes, and military jeeps. This created a golden age for GM in the the 1950’s (and extending into the 1960’s) in which pent up U.S. demand for cars, as well as an insatiable need from the rest of the world for vehicles, led GM to become the world’s preeminent automaker, with 50% market share at its peak. Since it was swimming in cash, GM was able to have exceptionally good labor relations with its heavily unionized workforce. The company offered them large pensions, free healthcare for life, generous annual raises, and other perks. However, this unique situation created two problems for GM. The first was that such dominance resulted in GM resting on its laurels in terms of R&D, especially when it came to poor vehicle reliability and low fuel economy. In the 1970’s the Japanese, having rebuilt their auto sector with a vengeance, entered the U.S. market offering higher reliability, greater fuel efficiency, and lower cost options. And thanks to the twin oil shocks of the 1970’s (when oil prices quadrupled at one point), Japanese manufactures such as Toyota (TM), Honda (HMC), and Datsun (now Nissan) began steadily eroding GM’s market share. Worse still? Because of increasing life expectancy and improved (and more expensive) healthcare, GM’s number of retired workers soon ballooned into the millions and began to dwarf its actual workforce. In addition, increasing labor strife (union workers worried about their jobs) forced GM to institute a job bank in the 1980’s, which ensured that laid off workers receive 95% pay until the company could find new work for them. GM essentially became a privately run social welfare program that happened to build cars. In fact, according to The Center for Automotive Research, by 2008 GM was spending 50% more per hour per worker (adding $1,200 to its cars) relative to its Japanese competitors. When the financial crisis hit, GM’s debt load, plus unfunded liabilities (future pension and healthcare obligations) had ballooned to $104 billion ($17 billion which was due within a year), compared to just $14 billion in non-restricted cash on the balance sheet. In addition, GM’s finance arm (which was later spun off as Ally Financial) had made numerous subprime loans that imploded and resulted in massive losses, including $9.6 billion in the fourth quarter of 2008. This forced GM to accept a $50 billion bailout from the U.S. government (in the form of a 61% equity stake, plus preferred shares and a loan) as it declared bankruptcy. GM has also become much more disciplined with its business, reducing the number of cars it sells to rental fleets. These tend to be low-margin vehicles that did little more than fill capacity at the company’s factories. Ford and Chrysler have taken similar restructuring actions, even showing a willingness to give up some market share to maintain their focus on profits. That’s a big change from the past. When the Big Three (GM, Ford, and Chrysler) built more than half of all vehicles sold in the U.S. car market in 2007, they were losing more than $300 per car produced, according to The Wall Street Journal. 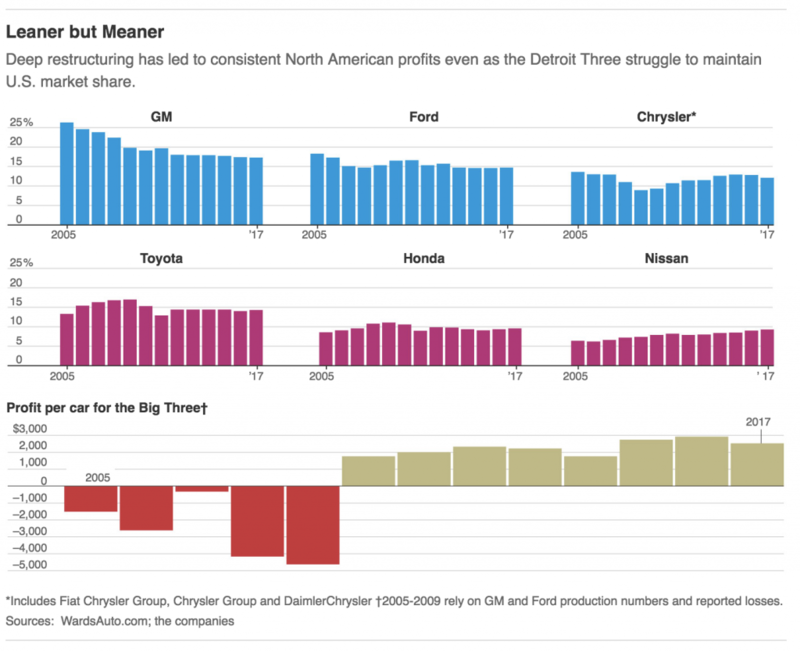 Today, even with lower market share, the Big Three are profiting more than $2,500 for every car made in North America. Other important efforts by GM included a shift from regional vehicle platforms, which accounted for 61% of vehicles sold in 2010 (when GM exited bankruptcy), to global platforms, resulting in much lower development costs, shorter design times, and an ability to sell the same vehicle all over the world to better leverage costs and improve profitability. In addition to a focus on more efficient global platforms (which are expected to make up 99% of sales in 2020), GM has been laser focused on reducing its number of vehicle platforms from 26 in 2014 to just 4 in 2025. 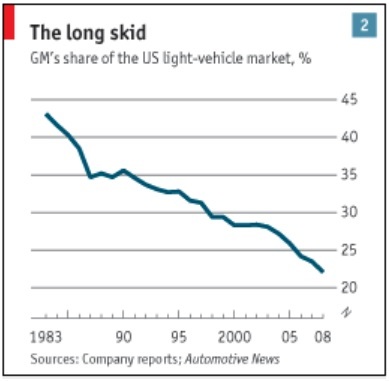 Of course, making vehicles more efficiently is of little value unless the company can sell them, and here too GM has made excellent improvements over the years. Specifically, the company has greatly improved its reliability. For example, the 2017 J.D. 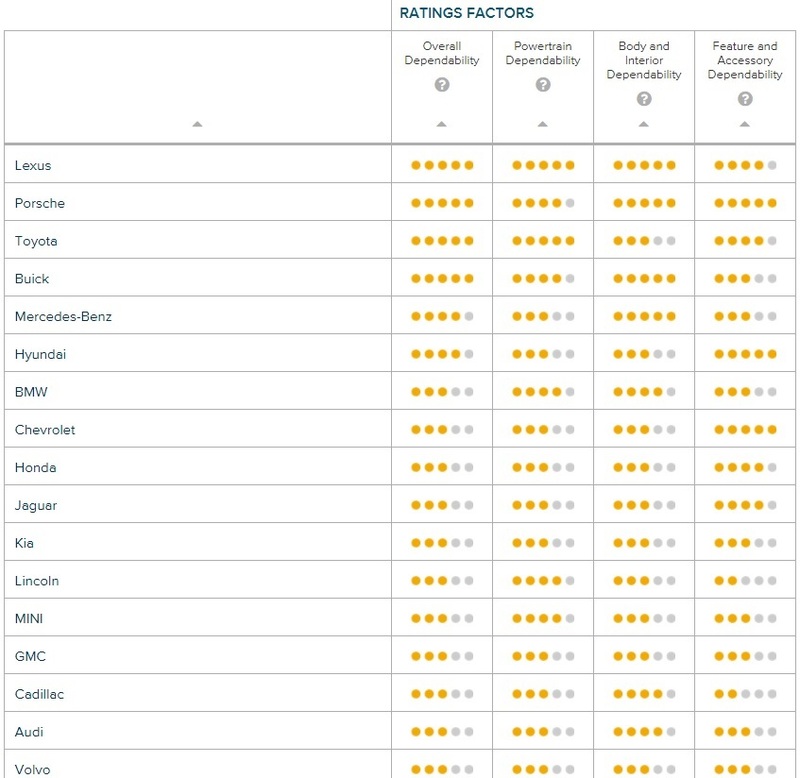 Power and Associates’ annual vehicle dependability study (which looks at the reliability over a vehicle’s first three years) shows several GM products having segment-leading dependability. In fact, several of GM’s brands now rank right with, or even slightly better than, legendary Japanese makes. For example, Buicks are now nearly as reliable as Toyota’s, Chevy’s are slightly better than Hondas, and Cadillac’s are more reliable than rivals such as Volvo and Audi. In addition to a big focus on improved efficiency, cost controls, and reliability, GM has been aggressive in making its vehicles more competitive, by launching or redesigning an impressive amount of their product offerings over the last few years. In fact, close to 40% of GM’s sales volume between 2017 and 2020 is expected to come from new or refreshed model introductions. In the coming years, GM expects this cadence of new product launches to only accelerate, with a greater focus on more profitable trucks, SUVs, and crossovers (car-based SUVs), which are currently taking the world by storm. GM’s aggressive push into lower cost production of higher-quality and more popular vehicles, such as crossovers, has helped the company to steadily increase its average selling price by more than 10% since 2013, driving strong growth in earnings. Another important growth opportunity for GM is China, which is now the largest auto market in the world with more vehicles sold each year than the U.S. GM is planning on opening five factories in China by the end of 2018, which it hopes will allow it to increase its sales in the middle kingdom to 5 million vehicles annually (up from 4 million in 2017). However, as far as GM has come, there are still several major risks to consider. As impressive as GM’s turnaround has been, there are two major issues facing the company when it comes to being able to maintain or grow its dividend. First, the auto market is very unforgiving, requiring high levels of capital intensity, consistent technological innovation, extremely robust supply chains and efficient manufacturing facilities, big marketing budgets, and strict adherence to safety and environmental regulations. Auto companies are constantly having to redesign and retool their plants, resulting in massive capital expenditures and R&D spending. For example, GM routinely spends more than $15 billion on capital expenditures and R&D each year. And because auto sales are cyclical but production plants have high fixed costs, GM’s profits can drop in a hurry when sales volumes plummet. Automakers also have a history of being undisciplined on pricing when conditions get tough, which further strains profitability during down cycles. 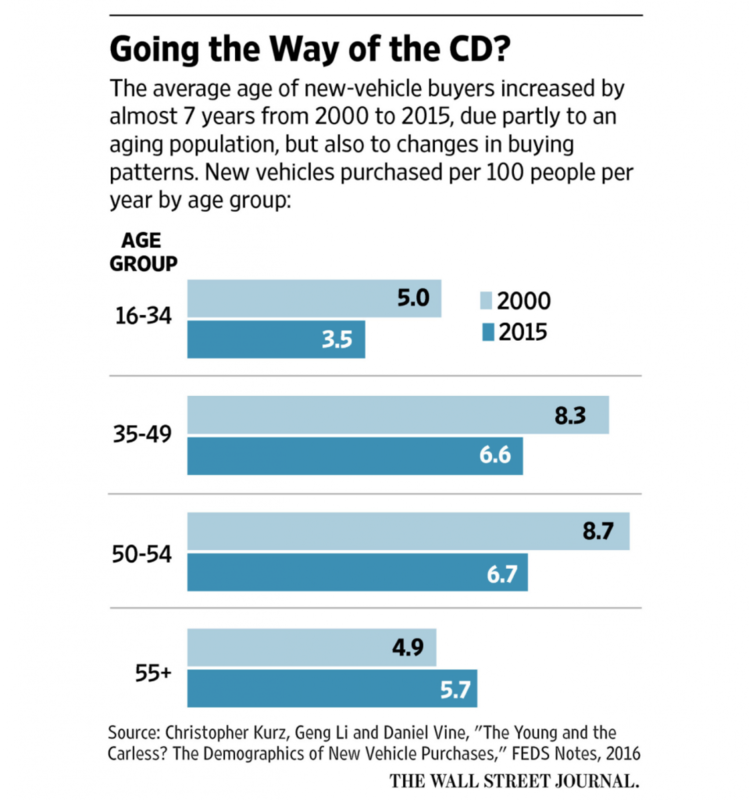 Investors are worried that the current auto cycle could be peaking. A combination of solid GDP growth, healthy employment, improving wages, high consumer sentiment, and low interest rates, which reduce monthly payments, has fueled a multi-year stretch of excellent vehicle sales. 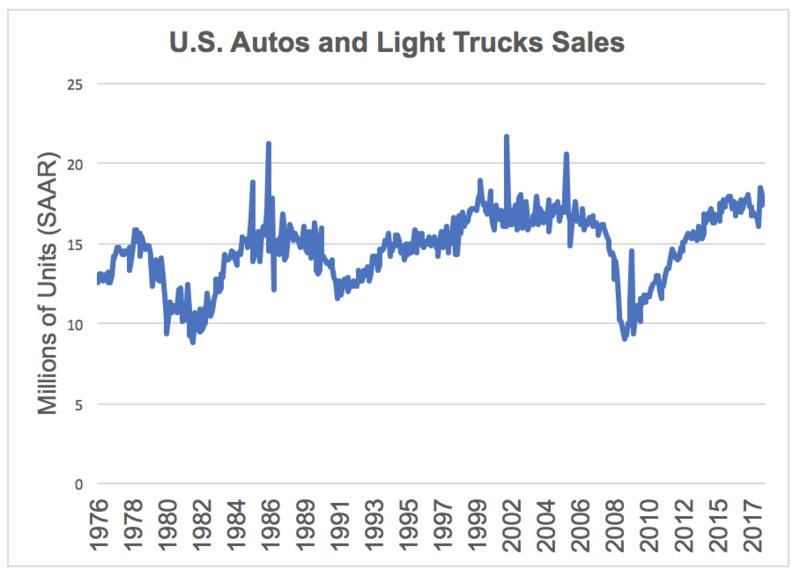 As you can see below, U.S. sales of autos and light trucks have sharply recovered since the financial crisis, hovering around 17 million units at a seasonally adjusted annual rate (SAAR) in recent years. Most “experts,” including the company’s chief economist, expect demand levels to remain similar in 2018. The record age of vehicles on the road (over 11 years versus 9.6 years in 2002), low gas prices, rock bottom interest rates, and continued growth in major international markets such as China could keep the good times rolling for much longer than most people expect. However, no one can really forecast when the next inevitable downturn will occur with much accuracy. As previously discussed, General Motors has certainly made a number of structural improvements to its business to better manage through the next sales trough. Fewer brands, production discipline, a more profitable product mix (SUVs, trucks, and crossovers), less dealer incentives, improved union labor agreements, and more concentrated marketing and R&D efforts form a foundation for structural margin improvement. In fact, GM expects its operating margin to rise to 10% (from less than 7% in 2014). Shared its vision for zero crashes, zero emissions and zero congestion and outlined an all-electric future with plans to launch at least 20 electric vehicle models by 2023. Introduced the third of three generations of autonomous test vehicles that were developed within a span of 14 months. Announced plans to deploy self-driving vehicles in a ride-sharing environment in early 2019. Acquired Strobe to help develop next-generation LIDAR solutions for self-driving vehicles and reduce LIDAR costs by 99 percent over time. Became the first company to use mass-production methods to build autonomous electric test vehicles. Focusing more on electric vehicles appears to be a smart move, especially given the company’s growth ambitions in China. That’s because China is just one of numerous countries now considering phasing out gas and diesel vehicles. In other words, GM sees the writing on the wall and believes that electric vehicles are the future. After all, its most important future market, China, which is plagued by some of the worst air pollution in the world, plans to mandate 10% EV sales by 2019 before ramping up to 100% over time. In fact, by some estimates almost 60% of all global car sales will be plug-in models by 2040. And with rivals like Ford planning to invest $4.5 billion to launch 13 EV models over the next five years, GM knows it needs to build on its success with the Chevy Volt (plug-in hybrid) and Chevy Bolt EV. GM has actually been a pioneer in EVs in the past decade with the Bolt EV (voted 2017 North American car of the year at the Detroit Auto Show), which has found success with both critics (Car and Driver called it the best non luxury EV in America) and consumers. While GM is pouring money into electric vehicles in an effort to protect its long-term health, these efforts could weigh on the company’s long-term profitability and growth (electric vehicles are expected to last longer and be more reliable). They could also fail to move the needle given the massive size of the company’s other operations and some of the uncertainties facing the industry (high costs due to expensive batteries, federal tax credits, competition from Tesla and others). Perhaps the biggest threat to GM of all is autonomous cars. Specifically, self-driving cars could revolutionize the way people move around and disrupt U.S. vehicle sales in a major way. According to AAA, for example, the average car costs about $700 a month to own. However, many experts are predicting that future of personal mobility could very well be one in which individual car ownership is far rarer and many consumers simply subscribe to an autonomous vehicle service. In fact, in just the past 15 years, without any autonomous cars being available, the combined effects of the great recession, smartphone adoption, and the rise of ride-sharing services such as Uber and Lyft have resulted in car ownership declining across the board, with the exception of those over 55. Various companies are looking at different business models for this, including Uber and Lyft who plan to switch almost all of their fleets to autonomous vehicles to provide rides on a per use basis. Others, like Tesla, are looking to set up networks where robo vehicles can be rented out by owners on a subscription basis to help offset the cost of ownership. In other words, in the future, it’s not out of the question that cars could become more of a luxury owned by the wealthy, while the majority of people end up subscribing to a robo taxi service at $175 to $350 a month (25% to 50% less than the cost of owning your own vehicle). Now GM has been preparing for this potential disruptive future by investing in $500 million in Lyft and launching its own ride sharing service, Maven. The company believes it can have driverless cars ready to take on complex urban environments in 2019, investing about $250 million a quarter this year in autonomous-vehicle development (up from the $150 million it was spending in 2017, according to The Wall Street Journal). Not surprisingly, GM’s goal is to get in on the ground floor and hopefully provide the autonomous electric vehicles that companies like Lyft and Uber use, as well as potentially provide Vehicle Management and Services, or VMAAS, for such companies. This basically means that GM wants to manage and maintain the electric vehicle robo taxis that it believes may one day make up the majority of vehicles in this country. GM believes the total addressable market for a driverless-car service will be worth several hundreds of billions of dollars by 2025 while offering 20% to 30% margins. It’s hard to fathom, but the company has said that the robo taxi service it is developing has potential to eclipse the profits it earns from its core automotive business within a decade! While those potential margins are nearly triple the industry average operating margin right now, keep in mind that there are two main problems that could still hurt automakers. First, electric motors can last over 1 million miles, and regenerative braking can allow brakes to similarly last for decades (they recapture almost all braking energy and thus significantly reduce wear and tear). As a result, electric vehicles could end up lasting far longer than cars today, perhaps reducing long-term private vehicle demand. Robo taxi subscription services would likely be a different story because they would operate 24/7, racking up more miles than any taxi is capable of today. However, even if GM’s future is basically building electric-powered robo cars for companies such as Lyft or Uber, the question remains how many cars will the global market need under such a future mobility solution. For example, perhaps super efficient autonomous vehicle subscription services require just 5 to 10 million U.S. auto sales a year (compared to 17 million today), which would mean that GM might permanently face a future with lower sales and profits, especially if it can’t find a way to capture higher-margin value from the fast-growing software and services side of the industry. GM has risen like a phoenix from the ashes of bankruptcy and made a remarkable turnaround, including a number of structural fixes to its workforce, manufacturing footprint, production mix, and balance sheet. Today’s GM appears to be a much more reliable source of income, albeit one with little to offer in the way of dividend growth. Despite its improved profitability, the company’s stock has consistently traded at a single-digit P/E multiple since emerging from bankruptcy, attracting value investors such as Warren Buffett, who initiated a stake in GM in early 2012. For one thing, investors remain fearful of the current auto cycle peaking, preferring to take a wait-and-see approach to GM’s claims that it can breakeven and maintain its dividend during the next downturn. More importantly, the massive changes coming down the line over the next 10 to 20 years, including the shift to electric vehicles, self-driving cars, and personal mobility services, make it harder to know just what type of company GM could be. Overall, the cyclical auto industry is not a great place for risk averse income investors to allocate much, if any, of their portfolio. However, for value-focused dividend investors willing to tolerate some potential volatility and uncertainty in their well-diversified portfolios, GM stands out from the pack. The company’s reshaped operations and strategic bets on future technology could ultimately lead to much higher margins and more stable profits over the very long term. To learn more about General Motors’ dividend safety and growth profile, please click here.